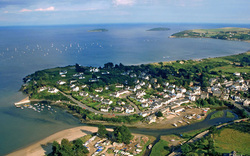 family owned self catering holiday home in Abersoch, the cottage is called Castell. 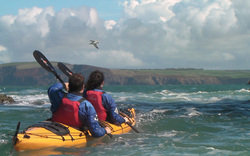 It is family owned so we know what a family need for a great holiday in Abersoch. Castell is the perfect property for a self catering holiday in Abersoch. 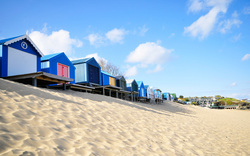 Abersoch is situated in the Llyn Peninsula, which is an ideal holiday location for sun and boat lovers and close to Snowdonia National Park for a walking holiday. This property is conveniently located opposite Abersoch Harbour and the Harbour Beach and benefiting with views of the inner harbour from inside and the decking area outside. Castell has four bedrooms (one en suite bathroom) and a family bath/shower and a downstairs WC/cloakroom with an open lounge/dinner with an AGA log burner and a separate TV room making it the perfect location for families , sleeping 8. Castell is conveniently located opposite Abersoch Harbour Beach with views of the inner harbour and within a 5 minute walk of the village shops, pubs and restuarants and a hop skip and a jump to the beach making Castell the ideal Abersoch holiday home. Castell is located less than a 5 minute walk from the centre of Abersoch and is less than 150 yards to the nearest beach. There is plenty of off street parking for your vehicles and boats.